PETALING JAYA (Oct 25, 2011): Agensi Kaunseling dan Pengurusan Kredit (AKPK) has appointed Koid Swee Lian as CEO effective Oct 1, 2011. Prior to her new appointment, Koid was director of consumer and market conduct department at Bank Negara Malaysia (BNM), with responsibilities that include enhancing the financial capability of consumers, supporting the financial inclusion agenda and promoting fair market practices through regulation and supervision of financial service providers and intermediaries. Koid began her career at BNM in 1981 and has held several senior positions in the areas of banking, insurance and law. KUALA LUMPUR: Bank Negara has issued a new ruling to control and manage the debt of credit cardholders earning RM36,000 and below per annum.The maximum credit limit extended to a principal cardholder in that category cannot exceed twice the holder's monthly income (RM3,000 x 2) per credit card issuer. To further restrict their spending, they will only be allowed to be a principal cardholder from a maximum of two credit card issuers. This means that the cardholder's combined credit limit will be capped at RM12,000.The changes will be enforced from Jan 1 and banks have sent out notices to cardholders to conform to the new rules. Those holding credit cards from more than two banks have been told to select their preferred two issuers and cancel the others. They have 24 months to repay the outstanding balances on their cancelled credit cards. Head of the National Cards Group (NCG) Sue Wong told The Star that those who cancel their extra credit cards must pay the usual 5% mininum repayment on the balance each month. “The schedule of repayment will be decided on a case-by-case basis upon the cardholder's request,” said Wong, who is UOB Bank general manager of cards and payment products. RHB Bank's head of cards and unsecured business Vince Au Yoong said the bank had several options on repayments. “Repayment can be done in the form of fixed monthly instalments or the usual 5% of the balance. However, cardholders must first discuss this with the bank,” he said. An official from another bank, who declined to be identified, also said that repayments would be handled individually. “If someone feels that he or she cannot settle the balance within two years, they can consult us and we can try to work something out,” she added. According to statistics compiled by Fomca, there are 1.92 million credit cardholders in the country who earn an annual income of less than RM36,000. Overall, cardholders owe a staggering RM24bil to issuers. 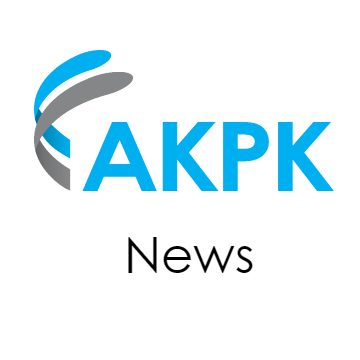 A Credit Counselling and Debt Management Agency (AKPK) spokesman offered to help cardholders who were caught in a dilemma because of the new rulings. “We do not give loans or financial help but we can provide guidance under our debt management programme. “They can also learn to better manage their finances through one-to-one counselling sessions,” she added. Fomca president Datuk N. Marimuthu welcomed the new Bank Negara rulings, saying they would compel young credit cardholders to spend more prudently. “Forty-one people are reported bankrupt every day and they're mostly credit cardholders. They never make payment on time and they'll be better off with these new rules,” he said.